I know it’s been forever since I’ve blogged, and I’m going to try to change that. In the meantime, this post is brought to you by Influenster and Gillette Venus (all opinions are completely mine, though)! What is Influenster, you may ask? Well, it’s a pretty awesome online program that will send you products for free to try out, review, and share about on social media. I get free stuff, the company gets word-of-mouth promotion, and everyone’s happy. 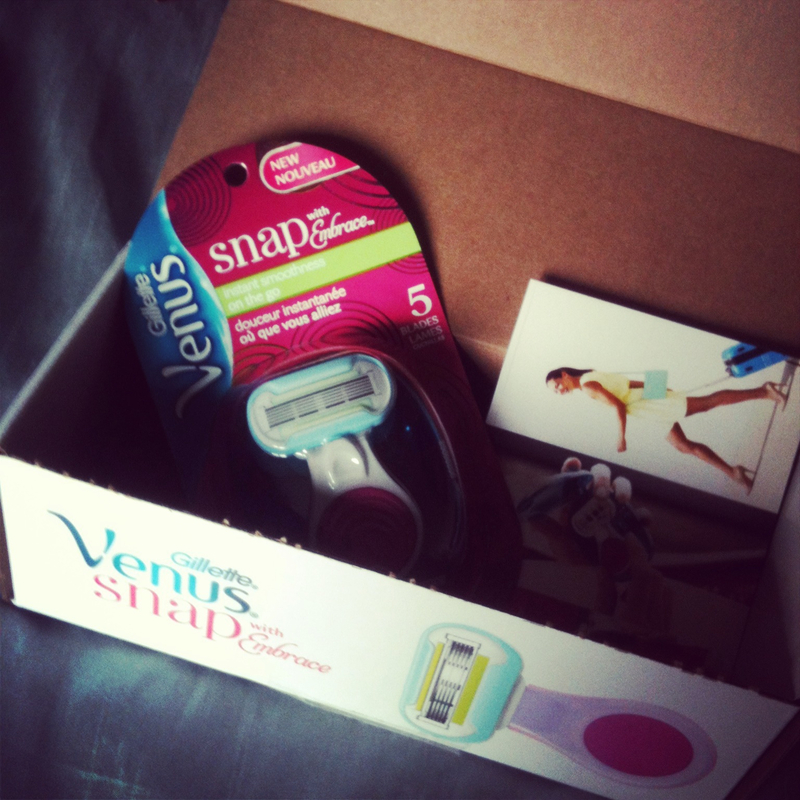 Anyways, I received the Venus Snap razor in the mail the other day compliments of Venus and Influenster. My Venus Snap, fresh outta the mailbox. I tested out the Snap last weekend while traveling for my best friend’s wedding that I was in. It was nice to just toss the little blue case inside my bag – so cute and compact. I used it in the shower, but it would be easy to use it on the go if you realize you miss a spot! It’s a little weird using such a small handle on a razor to shave, but the grip is squishy and comfortable, and it actually works super well. The package just tells you to wet the blades, and you’re good to go. I also love that it uses Venus blades so I can keep reusing it. The case is also nice and has a vent so it can dry inside. Honestly, my favorite thing about this is that it was free. I probably wouldn’t have bought it otherwise since it’s pricey ($9.47) for such a small razor. But now that I have it, I’ll definitely put it to good use! I may even consider switching to venus from now on… the disposables I use aren’t that great. Thanks Influenster and Venus!